If only the Romans would of kept some of Jesus’ blood or a piece a cloth or even the spear that pierced his side. 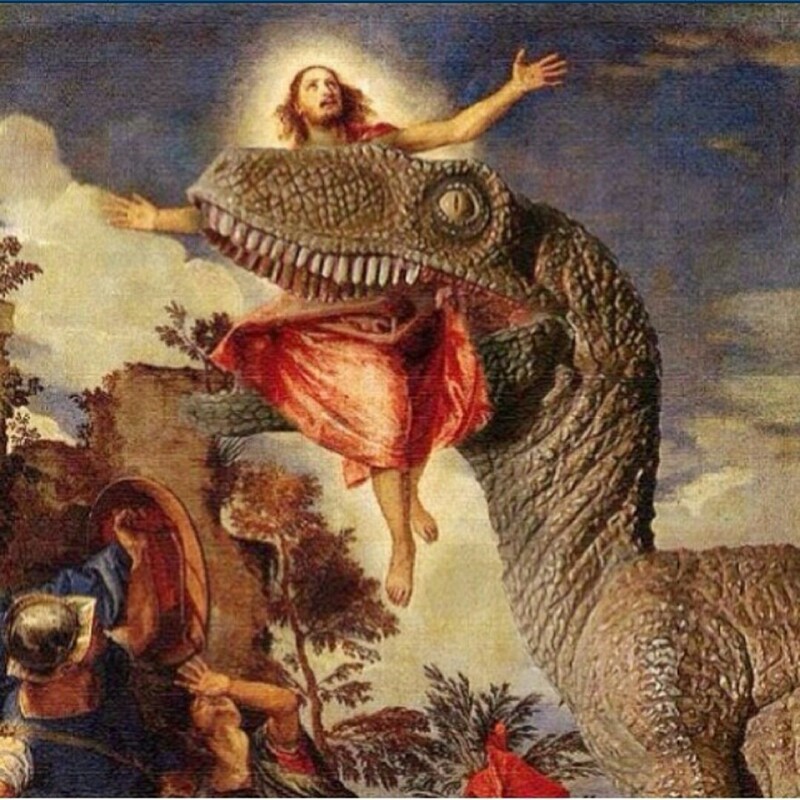 Maybe then the brilliant and incredulous Mr. Hammond could clone our beloved Savior, Jesus Christ. I imagine this 21st century rapture and smile. I imagine the people lobbying against cloning with their angry faces preaching morality and spewing “WHO ARE WE TO PLAY GOD!” I picture them making excuses. Suddenly they condone this off brand rapture because to them it is the ONLY way the story is ever fulfilled. The news crews awe in anticipation. People all over the globe but mostly in the US hold hands in prayer. The gates swing open slowly to the sound of trumpets and fireworks illuminate the sky. Beyond the gate is 3 sets of chariots attached to set of train tracks. The news crews rush forward fighting for side seats. The US is standing still. The cars lurch to a start and Hammond begins. Can I get an amen!? !